Seriously, even a Lost joke?! Recettear: An Item Shop’s Tale is a Japanese indie game localized in the Working Designs (RIP) tradition, wherein you take control of Recette as she turns her lonely house into an item shop to pay off her missing adventurer father’s defaulted debt. With the aid of the loan shark fairy Tear, you can either buy weapons, armor, and other goods at wholesale prices from the markets to sell at a premium, or hire out adventurers to go clear dungeons and sell those drops in your store. Time is limited however, and you must make each week’s increasingly crazy payment lest your home get repossessed. I found the general gameplay and underlying mechanical tension surprisingly fun. Each day in Recettear is divided into four slices, which you can use to run your shop, spend going out shopping, or use two at a time to go through dungeons. I frequently found myself in interesting dilemmas: with the 80,000 payment due tomorrow, should I spend all four time slices to peddle my dwindling wares? Should I gamble that a dungeon run will net be some expensive “free” items, and that I still have time to sell them? Or should I actually spend money at the market in the hopes that I can recoup with profit before tomorrow? These dilemmas even extend to the actual selling of items too, as you must decide what markup percent your customers are willing to accept. Shoot for the guaranteed 110%… or stretch to 130%? Finally, at random intervals the market for weapons/consumables/etc will either crash or spike, which can force you to sell at half price or lets you double your profits respectively. Overall, I enjoyed the game while it lasted, or at least the first 8-10 hours. Defaulting on the loan actually leads to a Game Over screen, but you can start again at Week 1 with your full inventory, same adventurer levels/equipment, and same Merchant Level and other unlocks. While this makes beating the game an inevitability, you are likely to understand the underlying systems well enough to make beating the game a forgone conclusion before the end of Loop 2. For those who find themselves obsessed, Recettear does offer a quite a selection of post-game activities, including New Game+, Endless mode, and even Survival Hell mode where you have to keep making six-figure loan payments until you finally default. 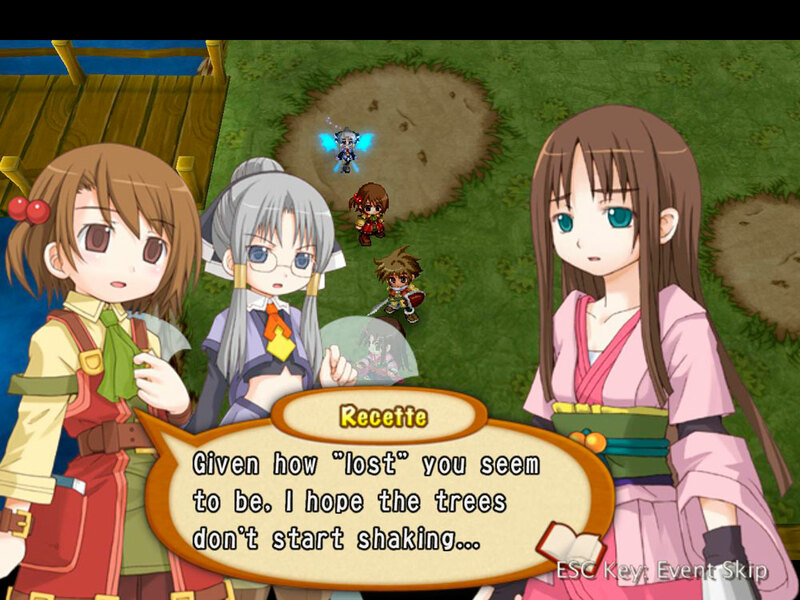 If you want a unique, quirky indie game with an amusing localization, Recettear has you covered. Dude… couldn’t you just walk 10ft into the background? 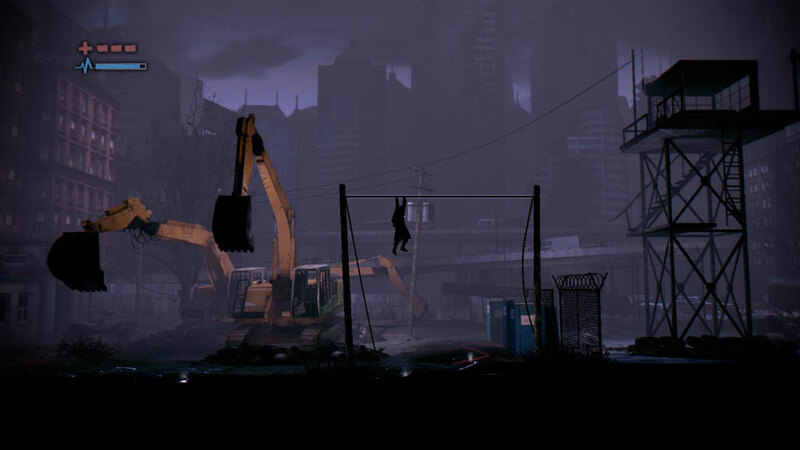 Deadlight is a side-scrolling puzzle platformer in the tradition of Out of This World or LIMBO, to use a more recent example. You control Randall Wayne has he navigates his way through a 1980s version of a Seattle zombie apocalypse on a mission to find his family. Amidst the frankly ridiculous jumping scenarios that Randall solves with Assassin’s Creed-levels of aplomb, you will frequently be harassed by zombies (or “Shadows” as they are termed here), which creates an extra level of tension and danger to the side-scrolling navigation. It is worth noting that this game is stunningly beautiful; clocking in at 4.1 gigs, I suspect that the characters and environments are actually rendered in full 3D, with the camera merely forcing a 2D perspective. Aside from the graphics though, my comparison with LIMBO remains apt: Deadlight is an incredibly short game whose merits largely reside on the artistic side of the spectrum, rather than gameplay. Whereas LIMBO’s style accentuated the gameplay though, Deadlight’s more realistic bent strains credulity and breaks immersion in a few places. An example is in the screenshot above, where Randall had to leap from a building onto a series of cranes, then jump down to wire before launching himself over a barbwire fence. While platformers require a healthy degree of suspension of disbelief in general, I had a hard time getting over the fact that there is clearly a perfectly safe pathway not 10 feet in the background of that very screenshot. Despite the immersion breaks, Deadlight isn’t a bad game – it is simply something I would not recommend picking up outside of a bundle. Even if you pick it up on a $5 sale as I did, the dollar-per-hour of entertainment is not particularly impressive. Posted on April 21, 2013, in Review and tagged Capitalism, Deadlight, Indie, Item Shop, Localization, Recettear, Selling, Side-Scrolling, Working Designs. Bookmark the permalink. 2 Comments. Dollar per hour entertainment? man give devs a break! While it might not be the most long and most content filled game if it was genuinely fun for 2-3 hours threat it like a good movie. – its worth it! I actually don’t go to the movies very often, for precisely that reason. It is absolutely true that certain games are experiences that transcend their short durations. Movies too. But in the instance of Deadlight, I didn’t feel like it was one of those games. And without that transcendental gameplay experience, I must fall back to more “mundane” criteria to evaluate whether I got my money’s worth. I do cut indie devs a break. But don’t forget that indie devs also made FTL, SPAZ, Frozen Synapse, Minecraft and so on; all games that had a rather extraordinary return on investment.